I’ve got a sweet Logos–>Drafts 4 workflow I’ve been using on the iPad for a few months now. (I find Logos’s iOS app to be significantly zippier than its Mac counterpart.) 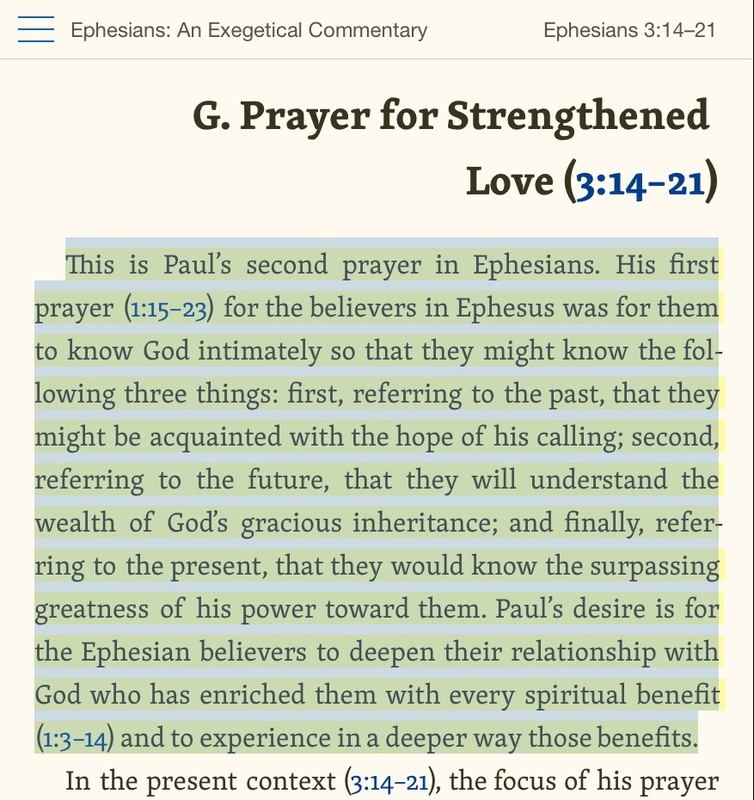 Allow me to demonstrate, using Harold W. Hoehner’s excellent Ephesians commentary. 1. 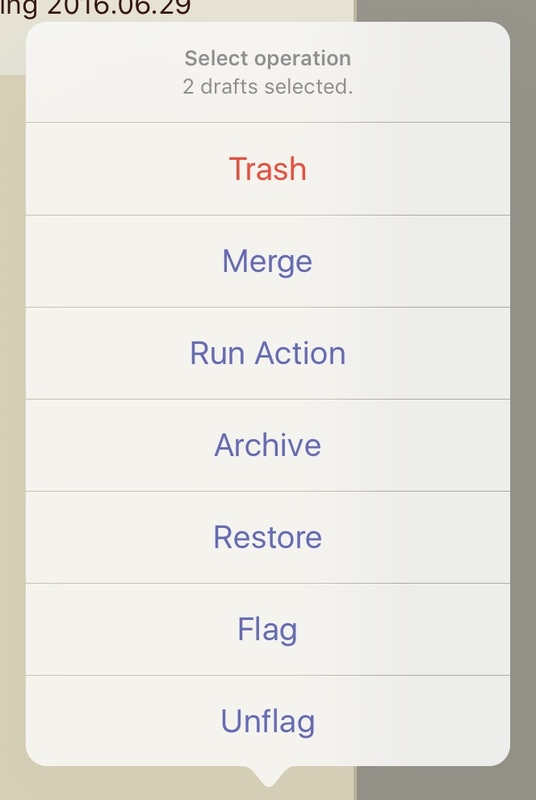 Open up Logos in iOS. 2. Tap selected text to bring up highlighting and share options. I’ve got Drafts open with Logos in Split View, just so you can see them together. All these steps work with Drafts not visible, however. 3. Select Drafts in the share option. If you do Prepend or Append, Drafts comes up to let you choose where to put your text. 5. 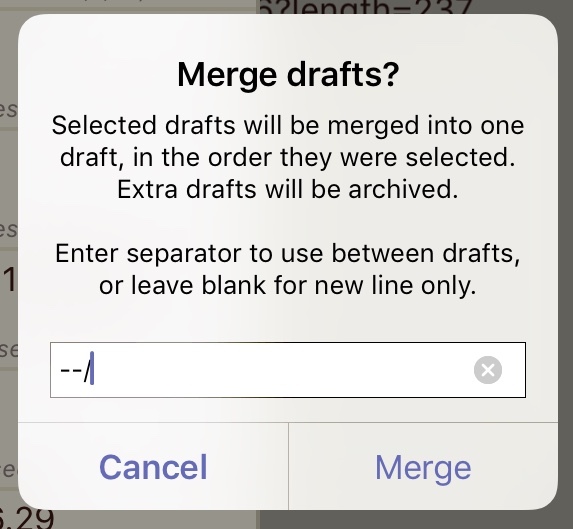 When you’re done repeating this process for as much text as you want to copy, you can merge individual drafts, if needed. From here it’s easy export from a single draft to Ulysses or MindNode, and on goes my sermon preparation! 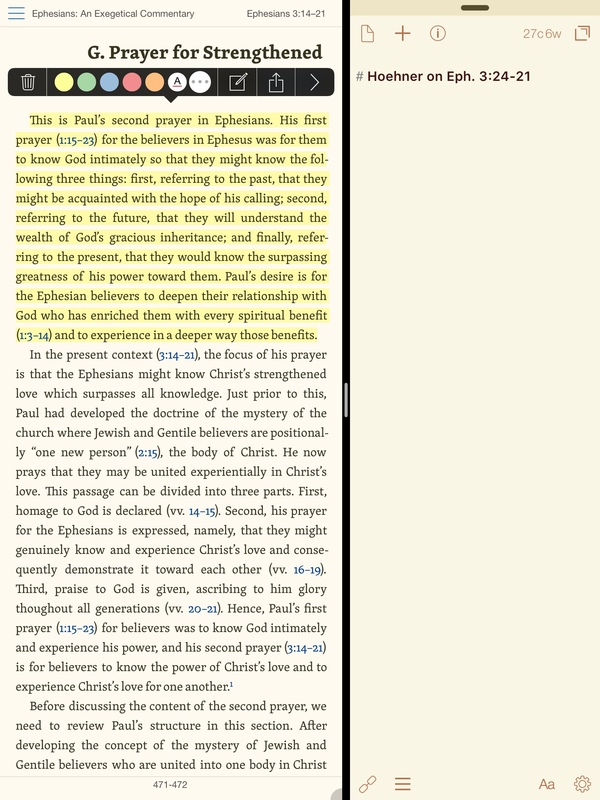 Drafts4 has been the most indispensable app in my attempt to do as much sermon preparation as possible on the iPad. 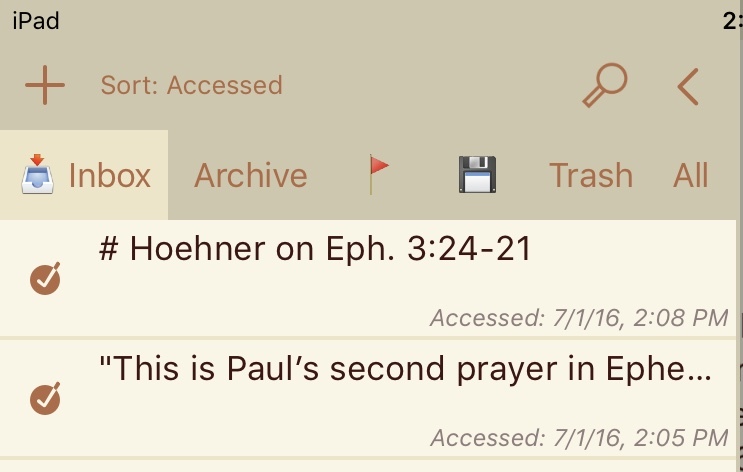 Thanks to Logos for the Hoehner commentary so I could write up the workflow–review of the commentary itself to follow. The Logos mobile apps are free, available here: iOS / Google Play.